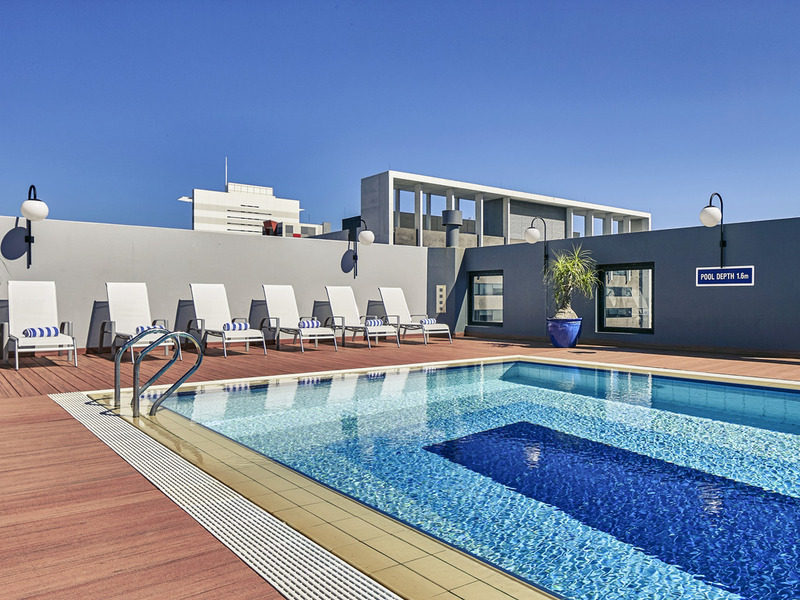 Mercure Perth hotel is conveniently located in the heart of Perth city, with the major shopping, entertainment and nightlife areas all within walking distance. Our Perth city hotel provides an ideal base for both business and leisure travellers, with Perth Train Station right around the corner and Perth Airport just a 20 minute drive away. This Perth accommodation opens up all of what Perth has to offer such as Cottesloe Beach, Fremantle and Rottnest Island. Don't miss out on our 4 star hotel in Perth. Whether visiting Perth for work or play, Mercure Perth offers easy access to the best of the city. The WACA, Crown casino and Perth Zoo are just a few of the nearby attractions, while Perth's restaurants, bars, shops and beaches are all within easy reach. Offering 24hr reception and room service, a tourist information desk and a car hire service desk, Mercure Perth is dedicated to providing the utmost in convenience and warm, friendly service. Other features include WIFI access and dry cleaning services. Combining warm décor with contemporary sophistication, guest rooms at Mercure Perth are a joy to retire to at the end of a long day. Guests searching for Perth hotels can find a wide range of configurations available, with Privilege and Superior accommoda tion options on offer. Each guest room features a range of convenient facilities, which include a work desk, a TV with cable channels, Wi-Fi and cable internet access, air conditioning, opening windows, a minibar, and coffee and tea making facilities. Offering an intimate, beautifully lit ambiance, Beccaria Restaurant is the perfect place to linger over a glass of wine with someone special or get togethers with friends and family. An extensive buffet breakfast is also available. Cucina on Hay provides authentic Italian shared experiences in Perth city's east end. Gather with friends and family and taste your way around the Italian countryside with outstanding West Australian produce. Sophisticated contemporary style. Relax in comfortable surrounding whilst contemplating which cocktail to try next.